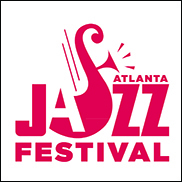 ATLANTA (CelebrityAccess) — Organizers for the Atlanta Jazz Festival’s International Jazz Day concert announced that their Sunday concert has been canceled after one of the headliners took ill. According to the Atlanta Journal-Consitution, South African trumpeter Hugh Masekela of The Jazz Epistles was due to play on Sunday but was unable to travel to the U.S. for the show due to his illness. “We wish Mr. Masekela a speedy recovery and hope The Jazz Epistles will return to Atlanta," said Camille Russell Love, executive director of Atlanta Mayor’s Office of Cultural Affairs in a news release. Other artists on the bill for the day included The Jazz Epistles with jazz vocalist Sofia Rei, jazz pianist Senri Oe and jazz vocalist Tamuz Nissim.